Topic: I've been here before. Re: I've been here before. My world is right again. Philo! What a sight for sore eyes! Now life at GMG has become interesting again! What do you think of the performances, Sarge? A group hug is in order my friend, you cannot deny that. Hope your stay is prosperous. Welcome again.....we have each kept our avatars, some are more fickle. In a word: definitive (hope Karl isn't staring over my shoulder ). 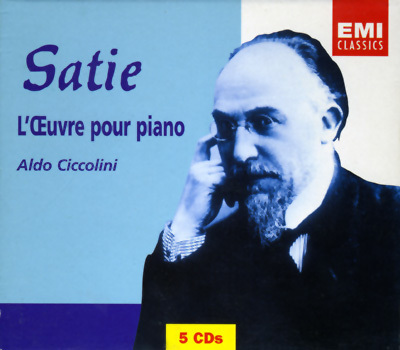 I also enjoy De Leeuw's Satie but could not in good conscience recommend his CDs as a first choice. They're just too slow and mannered (he's the Celibidache of the keyboard). Lovely though. It is quite good, but I also enjoy Anne Queffelec quite a bit. I find her touch to be quite fine. She's quite fantastic. I fancy women pianists over men generally though.